Lisa Smith, 37, fled the group in Baghouz and is now one of hundreds of people at the al-Hol refugee camp. 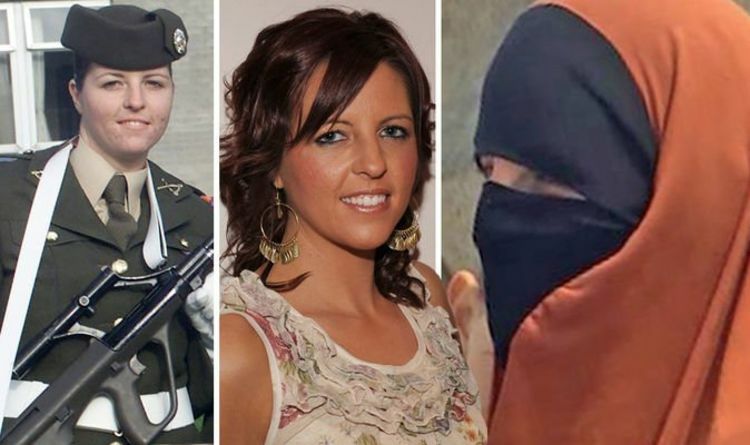 Ms Smith left for Syria about five years ago after she stepped down from her job at Air Corps, a part of the British Army, serving as a flight attendant. Speaking to CNN, Ms Smith said not everyone in the camp was a ‘terrorist’ and said prison in Ireland would not be worse than life in Syria. Irish authorities are now trying to rescue the former soldier, who is from Dundalk. She said: “I want to go home. “I think that people should just realise that all the people here are not terrorists. I want to go home. The case comes after ISIS bride Shamima Begum has had her citizenship removed by Home Secretary Sajid Javid. Mr Javid revoked Ms Begum’s passport when she said she wanted to return to the UK with her newborn son, who later died. However, Taoiseach Leo Varadkar has said removing Ms Smith’s Irish citizenship would not be the right or compassionate thing to do. He said: “Going to Syria or going to live in what was called Islamic State is not in itself an offence or a crime. So we will need to carry out an investigation. “I know the authorities there will want to interrogate her to see if she has been involved in any crimes there. But it’s very possible that wasn’t a combatant. “We really need to get to the bottom of the facts here. Carry out a security assessment to see if the Syrian authorities want to carry out a prosecution or not.